We survive and thrive on donations. 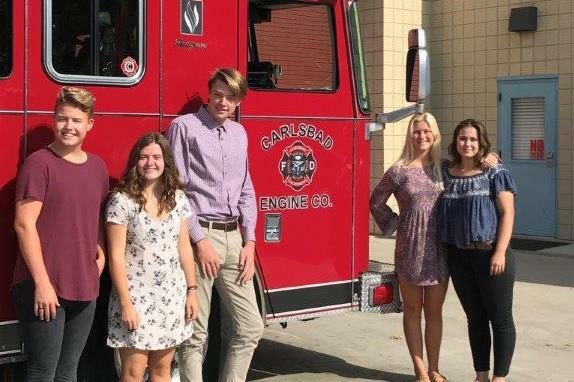 The Carlsbad Fire Department Foundation is a Not for Profit 501(c)(3) Corporation, every donation is a tax-deductible donation (United States Tax ID 461465877). All donations go entirely to initiatives to support and enhance the Carlsbad Fire Department. The CFDF is the only way to donate directly to the Carlsbad Fire Department. Please click on our donate button below. Thank you for your interest in the Foundation. The Foundation has two annual charity events to raise funds and awareness surrounding the Carlsbad Fire Department. We would love to have you join us as a guest or a volunteer! If you would like to volunteer, please click the button below to contact us. If you would like to attend, please visit our events page for more details. We are always looking for companies to sponsor our annual Toast to Courage Summer Event and our fall Golf Tournament. Please click the button below to contact us if you are interested in sponsoring an upcoming event!